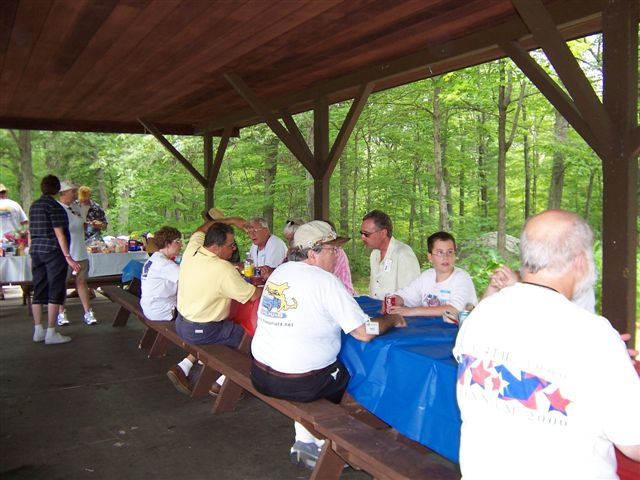 The picnic/meeting was held in a private pavilion in a wooded area with a private parking lot for all the Miatas and OTMs, and a private playing field for Bocci or croquet. With that description, you might think that we were one of those snobby expensive German-made car clubs! 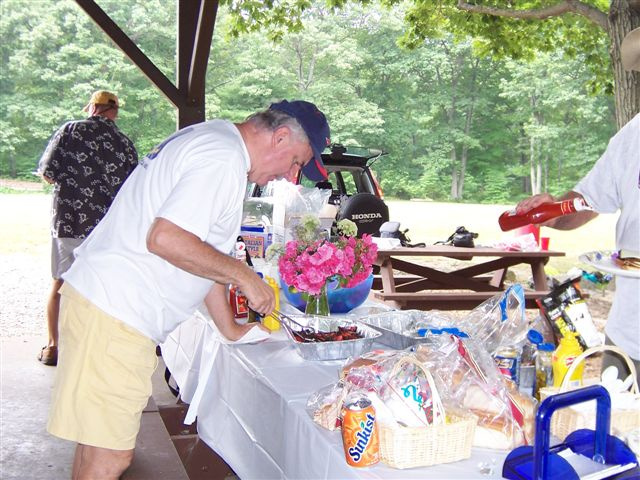 It’s not like the picnic has ever been held in a bad location, but this combination of amenities was very impressive! 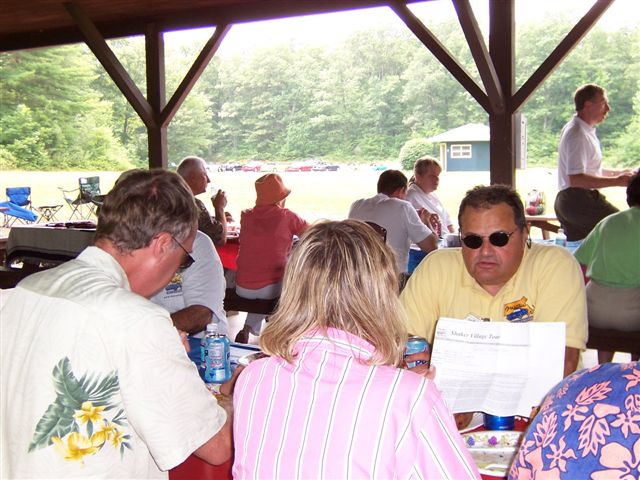 Al Meola conducted his first Annual Meeting as President with his usual humor and efficiency. 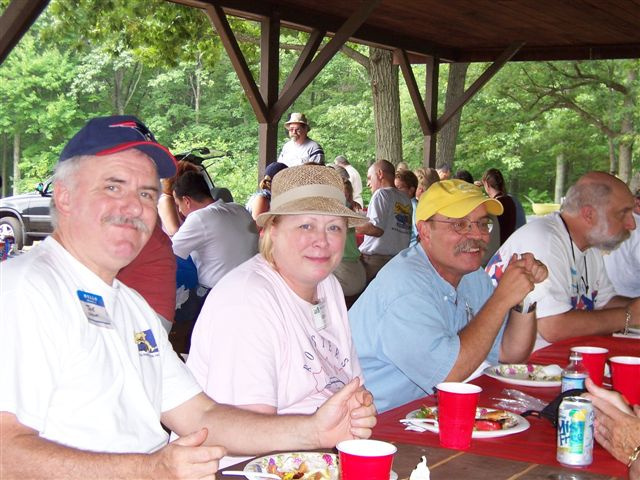 Under Sheila’s watchful eye, Al acknowledged and welcomed the new members present, and made special note of visitors from the North Coast Miata Club in Ohio who were on a two-week Miata tour of New England. 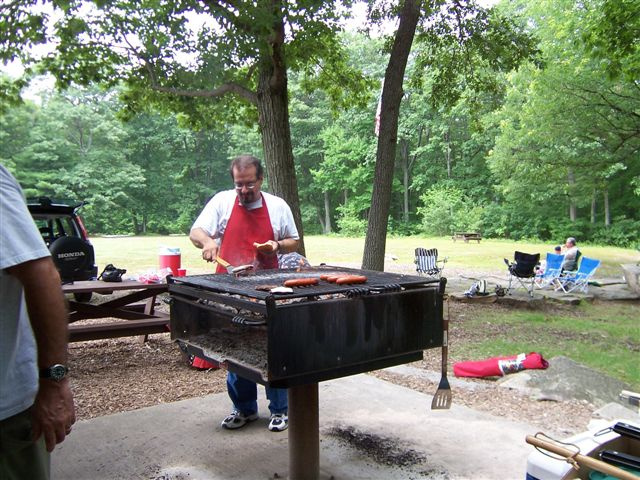 Since Al was also doing double-duty as Head Barbecue Chef, the business meeting was short and sweet The finances are in good shape, there are lots of great rides and events planned for the rest of the year, and we had forty new members sign up in the last year; now let’s eat! And eat we did! 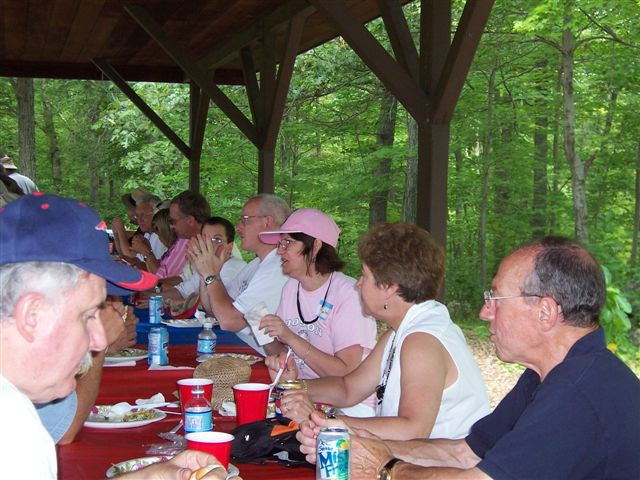 Chicken, pork, salads, hot dogs, hamburgers, chips, cookies, watermelon, dips, drinks, and every staple of your basic American picnic was available in plenty of supply. 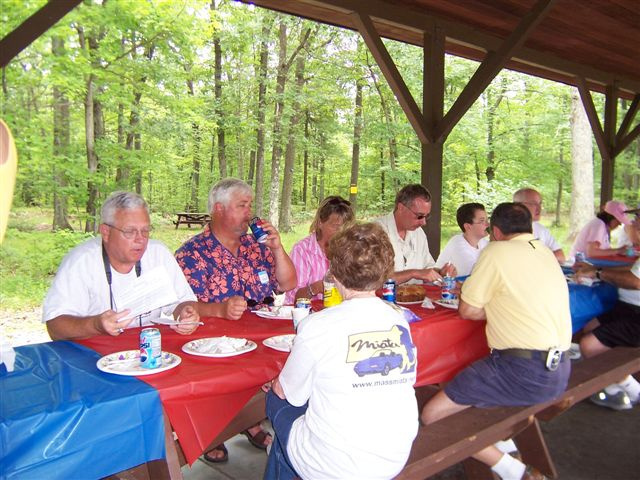 In the comfortable shade of our private pavilion, we gathered to eat and share stories, and eat some more! 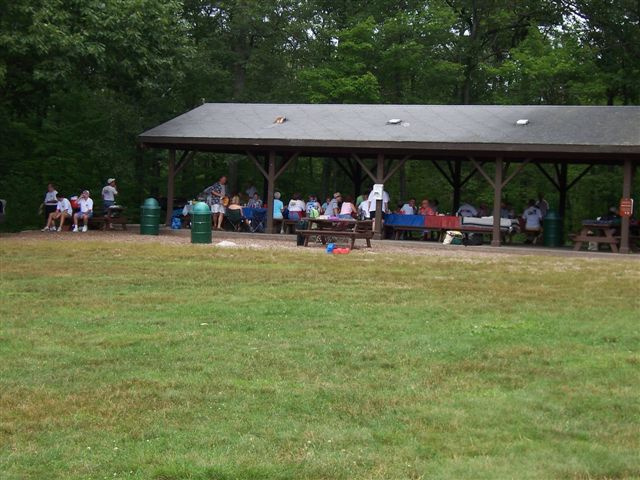 After several feeding cycles, the culinary staff abandoned the coals and organized the playing field into a Bocci tournament with five or six matches going simultaneously. Yes, this is the good life! 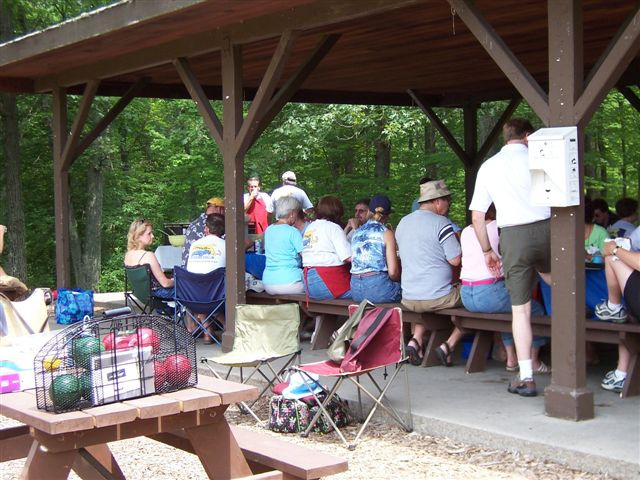 As the more energetic amongst us moved out to the sunny private playing area, others took up their stations in folding chairs under the shade to converse and observe. In a corner, a grandfather played Frisbee with his grandchild, and others retired to the parking lot to examine the line of Miatas proudly displayed. 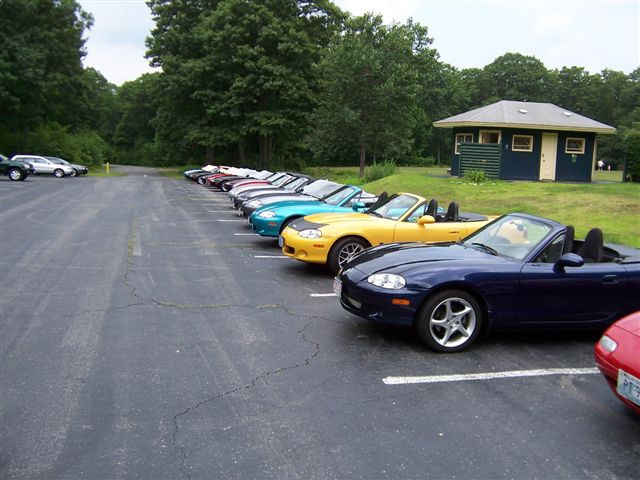 This sight was truly representative of the Mass Miata experience, it includes everyone; young, old, singles, couples, and families. There were those who play Bocci in the sun, and those who know better than to exert themselves in such humidity. Speaking of that, the Annual Bocci Tournament only made it through one round, or match, or whatever it is they call it (I was one of those in the shade). They will try to tell you it was called because of the heat, but in truth, I think it was called on account of dessert! 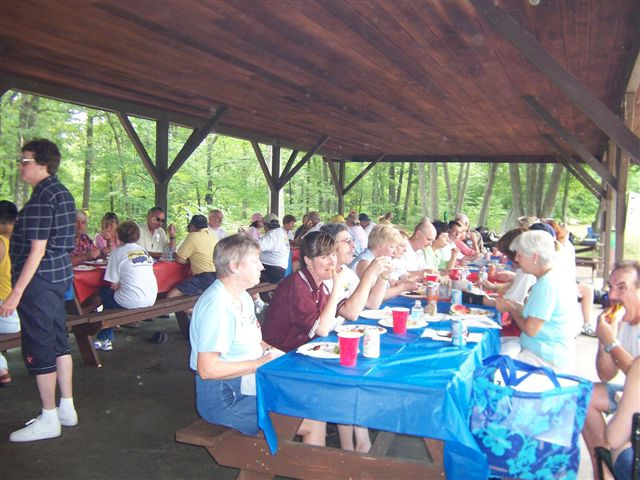 The food was plentiful and delicious, the private location was perfect, and the conversation and camaraderie was great. Life just doesn’t get much better than this! Thank you to Al and Sheila and all those who worked so hard to make this day a success! The Miata is known for its high “fun per mile” ratio. 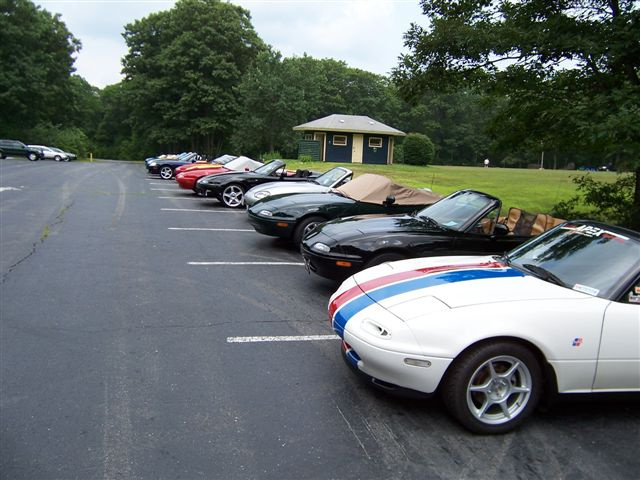 As a member of the Mass Miata Club, you have opportunities to increase that ratio – the Annual Appreciation Day was one – but there are lots more to come! Check out the schedule and pick an event to participate in, you’ll be glad that you did. Even those German cars can’t have this much fun! 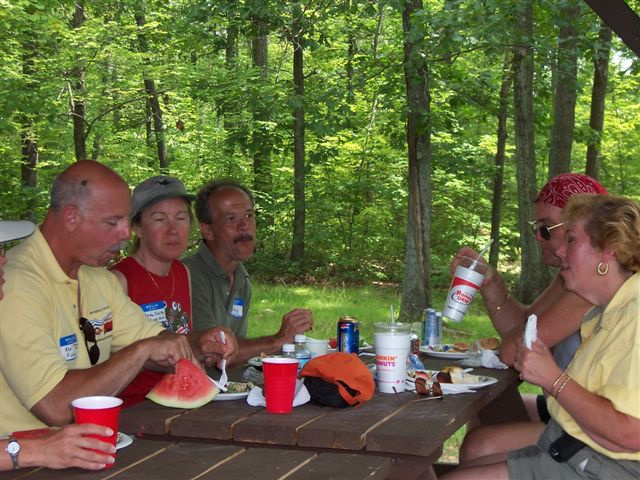 Brian Rust from Easthampton, Dennis Laplante from Ludlow, and Peter Lepper from Agawam are looking for Mass Miata members from Western Massachusetts who are interested in Miata activities in that part of the state or caravanning to club activities. Contact Brian at brust1540@charter.net or Dennis at djlaplante@charter.net .